Among sailors, the country Panama in Central America is best known for the Panamal Canal conneting the Caribbean Sea / Atlantic Ocean with the Pacific. 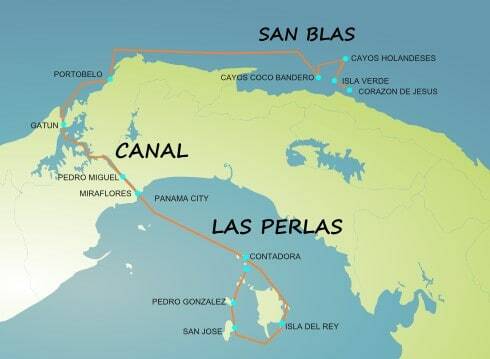 Panama boasts as well interesting cruising areas: for luxury motor yacht charters, even the area around Panama city worth a trip – and for sailing, both the San Blas Archipelago on the Caribbean coast and the Las Perlas archipelago on the Pacific side are excellent and exotic cruising destinations. 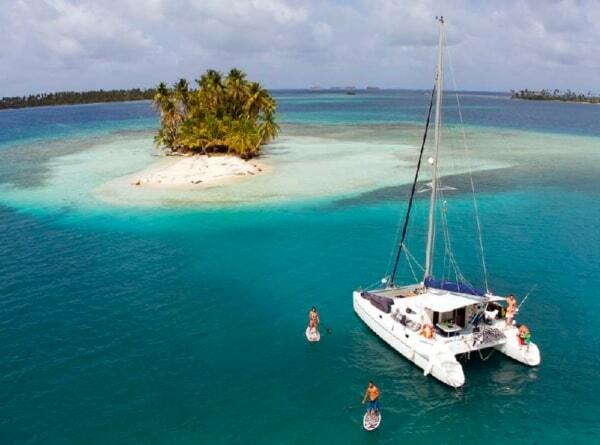 The most popular and spectacular sailing area are the San Blas Islands – around 365 beautiful islands in turquoise waters, with white beaches and coconut palms. Bareboat yacht charters are not allowed in this protected area. For yacht charter holidays, crewed catamarans and sailing yachts are available to enjoy a dreamlike cruise feeling like in paradise. The archipelago is autonomously governed by the Guna (Kuna Indians) to protect their traditional way of living, and to preserve the beautiful nature.They have lived in “Guna Yala” how they call the archipelago in their own language, for many centuries. Since 1938, after the Guna revolution against the attempts of the Panaman government to introduce western civilisation including forbidding local language and traditions, the have gained nearly full autonomy and rule their own territory. In this protected area, pristine nature could be well preserved. The surrounding San Blas Mountain range still boast primary forests, rivers like Rio Diablo and Rio Manglar are ideal for kayaking. You can see toucans, sea eagles or herons, spider monkeys and more wild animals during your stay. Only around 10 per cent of the islands are inhabitated, on the others, there are only a few families living rather isolated. Yacht charter guests can experience the culture of the Kuna Indians, enjoy swimming and water sports like snorkeling, fishing, diving, try out kayaks or paddle boards, explore the islands, meet other boats in a mooring field or relax in quiet anchorages. They will enjoy delicious meals aboard with seafood like the catch of the day with different fish, fresh lobster or giant crabs, tropical fruit or excellent meat imported from Panama City. The best area to cruise is located between Porvenir and Rio Diablo (Corazon de Jesus) with calm waters, protected by reefs. The Cayos Chichime are located at the north of Carti where San Blas begins, ideal for a short holiday of several days. Cayos Coco Bandero consist of severly small rather idyllic islands located at the northwest of Isla Verde. They offer one of the best anchorages, protected by am outer coral barrier which is about 4 miles long. At the Northern part of the San Blas Archipelago, the Cayos Holandes, a group of 21 uninhabited islands, are even protected by a 7 miles barrier reef. Rather far away from the coast of the mainland, waters here are incredible clear. The itineraries of the yacht charter holidays are of course flexible – details will be discussed with the captain and depend on the duration of the cruise and preferences of the guests. For more pictures have a look here at the gallery. Panama is protected from hurricanes, charters are available year-round. High Season the San Blas Archipelago is from December to April: with regular winds and little or no rain,the ideal season for passionate sailors. In the out season from May to November, usually winds are milder and there are some showers – the visibility under water is much better. Divers have the possibility of exploring the “outside” of the reefs, coral reefs and marine fauna. Temperatures are ideal during the whole year – between 27 and 35 degrees Celsius during day, with the sea temperature between around 26 degrees. 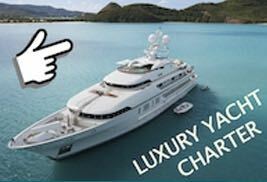 For yacht charters in Panama, we offer a few luxury motor yachts and a fine selection of catamarans and sailing yachts with crew – please ask for offers!